Anyone planning on taking an MSF course this year? Do you take MSF RiderCourses? I usually take an MSF RiderCourse every other year, just to keep my skills sharp, and get rid of any bad habits that collect (and they DO collect!). Two years ago, my wife took the BRC (basic rider course) to get her license. I did the ERC (Experienced Rider Course) the same day. Last year, with several thousand miles under her belt, she did the ERC with me again. This year, she's got a brand new bike (well, almost - when I get finished putting it back together), so I'm going to recommend she not jump right into the ERC with it, so I think we'll take this year off. And actually...the ERC is no longer, they now have the ARC (Advanced Rider Course), which seems to be similar to the ERC, with more classroom content. They've got a ton more courses now, from three-wheel trike courses, to dirt bike, scooter and more. One I think is particularly good (and fills a real need) is the Returning Rider course, for those who haven't been riding for a number of years. I know this is the time of year people really start thinking about it, and the courses are filling up quickly. So...who has taken the courses before? What did you think of them? Would you do it again? Similar to BRC2 - License Waiver RiderCourse, but consists of only the riding exercises. It is a perfect way to reinforce basic skills on one's personal motorcycle. 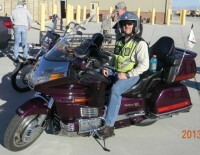 Passengers are permitted with a licensed operator on a personal motorcycle. For newly licensed riders. It is designed to be the first street riding experience under the supervision and guidance of a RiderCoach. SRC1 is a partial day program that includes classroom activities to improve perception, has practice time on basic riding skills, and includes several miles of actual street riding in a local area. Program combining elements of the BRC and BRC2 and includes a knowledge test and skill tests. It is designed for riders who have a permit and possess basic skills, but who have not been riding for several years. May lead to license waiver. The best place for a new rider to start once they've made the decision to ride a 3-wheel motorcycle. This course includes four hours of classroom activities and up to eight hours of on-cycle riding exercises. Successful completion may lead to an insurance discount. A person must pass a knowledge and skill test for successful completion. May lead to license waiver. Best place for a new rider to start once they've made the decision to ride a scooter. This course includes five hours of classroom activities and up to 10 hours of on-scooter riding exercises. Successful completion may lead to an insurance discount. A person must pass a knowledge and skill test for successful completion. May lead to license waiver. Improving-the-Ride RiderCourses were designed to build on basic riding skills. These courses provide a variety of exercises and can be used to renew basic skills as well as expand the finer procedures and techniques of riding. A program that enhances the basic skills and strategies that are provided in SRC1 and adds time and mileage to the on-cycle experiences in a local area. This program is for riders who wish to delve deeper into the perceptual strategies of street riding. A computer-based tool that will enhance hazard recognition and help the rider be able to respond earlier to a variety of roadway and environmental factors. Offers traffic simulation for one-on-one coaching in several different riding scenarios. A half-day riding course that familiarizes a person with the operation of a motor scooter. It is not a license waiver program, but rather a learn-to-ride course that prepares a person to operate a scooter. An off-street riding area is used for practice and 10 riding exercises are performed using small motor scooters. There is no knowledge or skill test, and participants are provided with a take-away booklet about safe scooter riding and how to continue to practice. A prerequisite is to be able to ride a bicycle. Nearly identical to the ARC, this course adds specific language for sport bikes, includes military references, and has a video introduction and summary by Nick Ienatsch who is the author of Sport Riding Techniques. Riders receive the MSF booklet: SportBike Survival Guide. A learn-to-ride course. Though focused on learning to ride a dirt bike, this course is a good way to learn how to physically operate a motorcycle in general. This course is conducted entirely outdoors in an off-highway area. It is not a license waiver course. Re: Anyone planning on taking an MSF course this year? I took a Keith Code class way back when at Road America once. I have been on my wife's but to take a class and I ended up taking the ARC last year. Did it on my newly restored 77' GL1000. I would like to keep going if I can get a spot in our little town. They fill up fast. Didn't figure out how to vote. Maybe send me a link. While I haven't taken an MSF course, I'm an advocate of them, especially for beginners. I likely should take my own advice and take an advanced one sometime. There is significant merit to taking a class, even for us experienced riders. I remember fondly taking my motor officer training course. While some of it is geared to things not taught in any of the MSF courses, there is emphasis on regular safe driving tactics and helping identify and remove bad habits. I remember finding several bad habits I had and to this day, ride differently. I practice some of the tricks learned to driving an automobile and they do apply. A little education is never wasted. wingingit2 wrote: I took a Keith Code class way back when at Road America once. I have been on my wife's but to take a class and I ended up taking the ARC last year. Did it on my newly restored 77' GL1000. I would like to keep going if I can get a spot in our little town. They fill up fast. You can vote by clicking your selection at the top of this thread, and clicking the VOTE button. I got the "M" code (back then it was a "H" code) on my license before the "BRC" was even available, much less required. 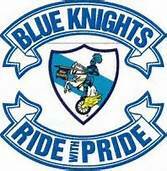 So no "BRC" and like most of the riders from that time, I already know how to ride so...no "ARC". I sold my GL1000 when my son was born (he is 25) and did not ride again until last spring. Since my head is as hard as my helmet (no I never ride without it) no one was going to convince me that my skills may have diminished with age or lack of practice (no I'm not a dummy, but I am hard headed). So early in March I went out for a Sunday ride on a GL1100. I went into what I thought was a long sweeping curve at a speed too fast and it suddenly became a curve with a decreasing radius (on second thought, perhaps "dummy" does apply). As I tried to take the speed off the bike with the judicious use of the brakes and downshifting the rear-end started to come around. At this point I made the decision to let it go off the road. Yes it was a decision, the other option was to lay it over and attempt to take the curve at a speed that I knew was too fast. If I make it, great, I pat myself on the back, tell me what a superior rider I am and go on home. On the other hand, and this is more likely, I go into a guard rail at 55 to 60 mph and at best only lose a leg or at worse become another number on someone's stat sheet. So, I took it into the grass (much softer that concrete and steel). I didn't break anything, but a few thing were badly bent and that hard head I have been talking about came through with only a mild concussion even through the helmet. After a week in the hospital and two more weeks of doctor ordered house-arrest I got back to work. The bike only had cosmetic damage, windshield, mirrors, plastic parts, etc. (there is a God). Almost all of the parts have come in, so next weekend I begin the reassembly process. I will be 65 later this month so my gift to me will be an "Advanced Rider Course". Hope I can learn enough to avoid something like that in the future, I don't heal like I did at 25. I'm in my mid 50s and hadn't ridden a bike for 30 years when I started riding again a couple of years ago. I originally learned to ride in California and never had anything more than a learners for the bike. When I moved back to Canada I never transferred the learners over which meant when I got back into riding I had to start from scratch. This meant having to take the mandatory motorcycle training course which to me is the best thing that could have happened. It brought back skills I hadn't used in decades and taught me new ones, particularly in dealing with emergency situations. I think its a great idea to take a refresher course every so often. If there was one available, I would probably get in on it, but only the Advanced MSF. I take the GWRRA ARC every year or second year, whenever it is presented at our chapter level. We do PLP (Parking Lot Practice) every spring, and in a month or so we will do TTPLP (Trailer Towing Parking Lot Practice). 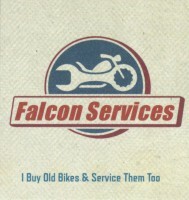 I went from the time I started riding (1963) till I was in New Mexico and needed to take an MSF to be able to ride through the front gates of Kirkland AFB in Albuquerque (1987) without any courses of any kind. I did not feel I needed to take a course - I already knew how to ride, doncha know. Well, I learned more about what I did NOT know by taking that course, that it made a believer out of me. The moral of the story is - I cannot remember what I never learned, and I forget what I do not practice. So, since then, I try to get onto an advanced course of one kind or another every 2nd year at a minimum, and every year at least some parking lot practicing. I have had my lisence for over 25 years. I stopped riding when we had our first daughter 22 years ago. 4 months ago i got a goldwing and started riding again. I took the basic MSF course just to get some practice on a smaller bike that was easy to handle. I have practiced 3 times in an empty parking lot just to become more familiar with what the bike can and cant do. I will continue to practice and am planning on taking an advanced course within the next 12 months. Hopefully I will take one this spring. Again. I'm taking the basic riders course in Eureka, CA, in two weeks. I'm a new daddy, and a fairly new rider, so the wife says I have to take the course if I'm going to keep riding. Thank God for her wisdom. I took the ARC course last summer. I have ridden bikes since 1975 and never had a "M" endorsement on my license. Back in the 70's if you had a DL you just could ride a MC. Well for the last 5 years I have been bangin around on my CB750. So when the wife suggested we get a bigger bike as we are getting older... we looked at the Goldwings and that was it, SOLD! So after a couple months a girl friend of my wife's asked her if I had a endorsement. She said he has never had one. The girlfriend then tells her that if I was in a accident without a endorsement, the insurance company wouldn't pay the claim, as I was not qualified to ride a bike! I took the BRC in 2010 and then the ERC in Oct 2011. 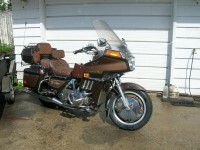 With the purchase of my "new to me" Goldwing, I will be attending the ARC with it within the month. I believe that one should take a course (any course) at least once every 2 years. Like others have said, just to get rid of the bad habits that build up as we become complacent and to refresh on the basics and fundamentals! I am also a strong ATGATT (All The Gear, All The Time) believer. 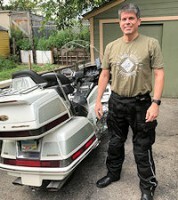 Even though it gets HOT here in El Paso, TX; since I am Active Duty Military, I am required to wear ATGATT anyway, but even if I wasn't, I still would. Good luck you all you new riders and keep the shiny side up! Took MSF BRC course in Blairsville, PA last month. Was a great course and I got to take it with my son. Looking forward to taking an ARC course in the future. Best part in PA the course was free! I am taking the ERC class today. Last week I did a parking practice with a riding group in Columbus. My girlfriend is a a BRC right now. (It is Saturday morning.) She is taking her class to help her decide if she really wants to be a Rider or stay as a passenger. I am taking the class to be a better rider. Besides the $50 for a state class helps with insurance costs and drops the chance of the bike, the babe or me getting hurt.